SGS has a vibrant concert program that has brought some of the best guitarists to stages in and around Sacramento. Click the About and Media links for a glance at some of our past artists. Some our our monthly meeting get-togethers have had wonderful featured artists from the U.S. and abroad! 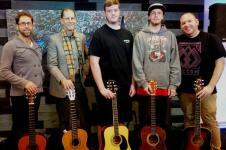 The Creative Arts Program Arts in Corrections at California State Prison Sacramento-Folsom has developed an instructional classical guitar program. The prison has a long history of community supported fine arts programs. This year SGS provided a music theory workshop at Old Folsom Prison for 40 inmates. SGS offers Guitar Scholarships to children from low-income families. Classes are held at at various teaching locations in the Sacramento area. Dozens of low-income students will get a good start in music in a safe, clean, professional environment. Students will gain confidence and self-esteem by acquiring skills in playing the world’s most popular instrument. They will learn tuning, playing position, musical symbols, notes in first position, rhythms through eighth notes, chords, reading, scales, finger-picking, strumming and simple repertoire. SGS accepts guitars from persons that have either quit playing guitar or have an extra guitar that is not being used. After SGS receives the guitars, our volunteer luthier, Waylin Carpenter, will restore and “tune up” the instrument by performing necessary repairs. Guitars have been donated to schools, music academies (that teach low income students) and to Folsom Prison. 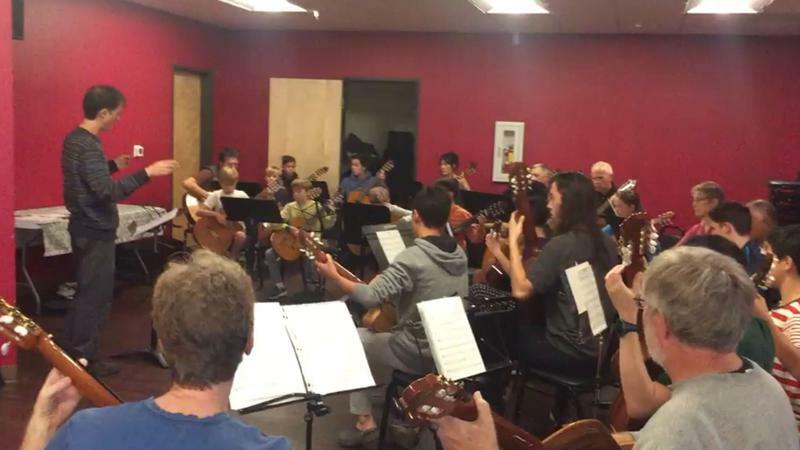 The Sacramento Guitar Society provides funding for two community orchestras, one in Sacramento and another in the City of Davis. Both orchestras are provided as a free community service and open to the public. They provide an opportunity to develop your music and reading skills. Come check out a rehearsal and just bring your guitar and get started! While sports are known for team building, ensemble playing also develops similar interdependence, including aural and visual skills. Join The Orchestra Today! 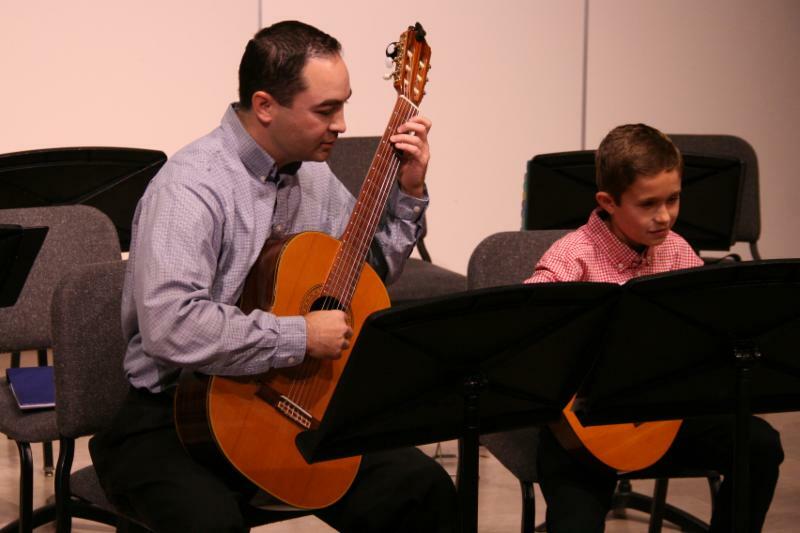 The Sacramento Guitar Society has been bringing world-class guitarists to schools since 2011. Students around the region have met and been thrilled by artists from China, France, Italy, Sweden, Norway, Denmark, Belgium, Bosnia, Mexico, Nicaragua, Switzerland, Ukraine, Russia and the United States. SGS has performed to over 5,000 students in the past few years! Helping teachers and students find each other.​ SGS offers a free listing of all guitar teachers in the region regardless of style, to help students locate a teacher close to where they live or work. Helping fill in the missing information on the society over several decades. Anyone with any information is asked to contribute. We are proud of a series of weekend events we produced just for guitar societies. In April, 2011, 30 representatives of guitar societies from California to Canada came together in Sacramento for our weekend roundtable featuring Dr. Matthew Hinsley and six emerging artist. Reviews. A popular and welcoming setting for trying out your practice pieces and features a wide variety of music and participants young and old ... come join the fun.The first open stage for this year is coming up, so practice up or just come out to see what happens! Not sure if the guitar is right for you or your child? Don't have a guitar to test it out? Take a group class in a community setting at a local Parks & Recreation District. We will even provide you with a loaner guitar! When you are ready to take it to the next step, we will provide you a list of local member guitar teachers for you to choose from.